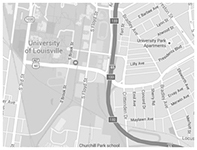 The Career Development Center offers appointments free of charge for current UofL students. Students can meet one-on-one with staff members to discuss major/career exploration, get assistance with resume/cover letter writing, find an internship or job, and more! Drop-ins will not occur on some days when staff have major events and will be out of the office. We will post notifications of cancelled hours on our web site..
Students from the College of Business are served by the Ulmer Career Management Center. Students from the J.B. Speed School of Engineering are served by the Speed Career Development Office. Students from the Brandeis School of Law are served by the Office of Professional Development. Log-in to Cards Career Connection powered by Handshake to schedule your appointment. Career Counseling: Career counseling appointments last 60 minutes and can cover major/career exploration, graduate/professional school information, etc. Career Assessment: This appointment type lasts 60 minutes and is for students who have already taken a career assessment and need to have the results interpreted. Practice Interview: Practice Interviews last 60 minutes and consists of a mock interview to allow students and alumni to practice answering interview questions relevant to their career field. Resume/Cover Letter Reviews: Resume/cover letter reviews typically last 30 minutes or less and are intended for students who need help beginning and/or updating their documents. Internship Search: These appointments consist of identifying internship opportunities students are qualified for, and typically last 60 minutes. Students must have earned a minimum of 45 credit hours and maintain a 2.5 cumulative GPA. Full-time Job Search: These appointments consist of identifying full-time job opportunities students or alumni are qualified for, and typically last 60 minutes. To explain the expectations for students/alumni for scheduled appointments. In their interactions with the Career Development Center, students/alumni are expected to model the norms of professional behavior that are commonly found in the workplace. All current students and alumni who have scheduled appointments with the Career Development Center. Participants are expected to show up for appointments they have scheduled. If the participant fails to show up for a scheduled appointment and fails to notify the Career Development Center prior to the appointment time, the participant’s access to Career Development Center services may be suspended. If the student/alumni no-shows for the first scheduled appointment with any staff member, they will receive an email informing them that they have missed a scheduled appointment. The student/alumni will receive an email after the third missed scheduled appointment notifying them that they have been blocked from scheduling any future appointments and blocked from access to the Cards Career Connection powered by Handshake. To remove the block, the student/alumni must contact the staff member with whom they wish to meet to explain why they have missed appointments and to request reinstatement. Reinstatement will be at the discretion of the staff member. If reinstatement is denied and the student/alumni wishes to appeal the reinstatement decision, they must call the Career Development Center and schedule an appointment with the Director to discuss their appeal. It is the responsibility of the participant to contact the Career Development Center within 24 hours if they are not able to keep their appointment. If there is a special circumstance, the Center will respond accordingly and make arrangements. Log-in to Handshake or call 502-852-6701. Possible denial of access to Career Development Center services and resources.